The Lexus RX is a popular mid-size luxury crossover SUV. It helped start a revolution when it went on sale—other automaker quickly followed. 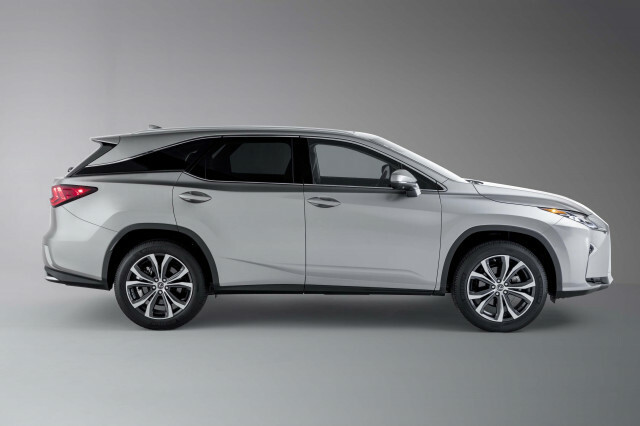 Now, the Lexus RX is available as a five- or seven-seater, with an F Sport appearance package. It's a rival for vehicles such as the Audi Q5, Volvo XC60, and Lincoln MKC. It's flanked by similar offerings everywhere and the line grew with the addition of the RX L long-wheelbase model with three rows of seats for the 2018 model year. 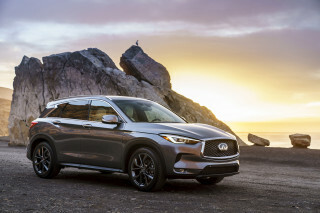 Its lineup now includes models powered by both V-6 and hybrid gasoline powertrains, and recently the RX was joined in the Lexus lineup by the compact NX and subcompact UX crossover. A fourth-generation 2016 Lexus RX was introduced at the 2015 New York auto show, and it gets a much edgier look inside and out. The styling is much more striking, with a floating-roof effect on the D-pillar and many aggressive cues taken from the smaller NX crossover. The layout in front has been configured for an airier, more open feel, with the shifter moved away from the instrument-panel area, a streamlined series of controls, and a new head-up display. Atop the center stack there’s now an available 12.3-inch infotainment screen with full-size map. Two models are offered. The RX 350 draws power from a 300 horsepower, 3.5-liter V-6, coupled to a new 8-speed automatic transmission for all models. The RX 450h hybrid gets an Atkinson-cycle version of the V-6 teamed with an electric motor-generator system. This version of Toyota’s Hybrid Synergy Drive system makes 308 hp altogether. F Sport versions of both the gas and hybrid RX crossovers are offered, but only with all-wheel drive. The RX rides on MacPherson struts in front and a double-wishbone setup in back, and adaptive dampers are available. The setup is tuned toward performance on the road, not at all off-road. The new RX is about five inches longer than before, with an additional two inches of wheelbase to provide more rear-seat room. It remains a five-passenger model, with two rows of seating, and width and height are essentially unchanged. The driving position has been lowered slightly, while the rear seat is seat is 60/40-split and now power-folding. Trims and materials in the RX family are especially inviting, and warmer-looking than what you see, for the most part, in German alternatives. But technology, and safety tech, are an important part of this model’s appeal. The available head-up display is now colorful and larger, while Mark Levinson surround sound, a rear HDMI entertainment system, and a whole suite of available active-safety features—called the Lexus Safety System+—can help keep accidents from happening, or lessen their severity. Connectivity is stepped up, too. Through the Navigation Package you get an expanded app suite with which you can also take advantage of Bing search; Pandora, iHeart Radio, or Pandora streaming audio; or Yelp, among others. We still aren’t in love with Remote Touch controller, but Lexus has improved the RX’s voice controls. The Lexus Enform suite of telematics and apps-based services—some of them subscription-based—has been expanded for 2016, with offerings now including automatic collision notification or stolen vehicle location, as well as new remote functions such as remote start, locking and unlocking, and climate pre-conditioning (all through an app). Although the F Sport package doesn't quite turn the Lexus RX into a genuine sports car, its sport-tuned suspension offers adjustable dampers that help tailor its ride quality between soft and firm. Additionally, the F Sport looks the part with unique styling inside and out. The Lexus RX's fuel economy story is terrific—at least for the RX 450h. The thriftiest variant is the front-wheel drive hybrid, which uses its electric motor to use very little gas around town. On the EPA's test, it is rated at 31 mpg city, 30 highway, 30 combined, while the all-wheel drive hybrid comes in at 30/28/30 mpg. 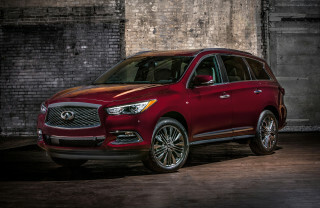 The RX 350 isn't quite so miserly at 20/28/23 mpg with front-wheel drive and 19/26/22 mpg with all-wheel drive. In 2017, the RX gained a host of collision prevention tech as standard equipment and the F Sport performance package became available on the front-wheel drive RX 350. 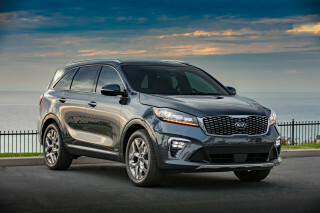 For 2018, it added a long-wheelbase body style to meet a growing demand for three-row crossovers. The first-generation RX was the RX 300, introduced for 1999. It was offered in only one trim, with a limited number of options, and included the same 220-hp, 3.0-liter V-6 that was featured in the ES 300 sedan. Power was delivered with a 4-speed automatic transmission through either front- or all-wheel drive. For 2001, the RX 300 saw slightly different styling plus a new list of options, with electronic stability control made standard. For 2004, the crossover was redesigned and renamed the RX 330, getting a larger, stronger 230-hp (or 223-hp), 3.3-liter V-6 plus a 5-speed automatic. The RX's overall size and formula remained the same, though its styling inside and out was smoother, with substantially improved interior materials. For 2007 and 2008, the RX was renamed the RX 350, as it gained the higher-output 3.5-liter V-6 that was introduced on a number of Toyota and Lexus products. One of the key attributes of this second-generation RX is that quite early on it offered a number of high-tech features that weren't found on many other luxury vehicles in its segment or price range at the time, including the an adaptive front-lighting system and adaptive cruise control. The third-generation RX made its debut in 2009. Although the RX was again completely redesigned, it carried over with the same base engine, now making 275 hp, and didn't look all that much different from the outside than the models before it—particularly the 2004-2008 models. The design of the instrument panel was significantly changed this time around, however, becoming more swoopy and curvaceous, with materials again given a big upgrade. Top features on the latest RX include heated and cooled seats, power heated mirrors, a head-up display, and an updated navigation system with XM NavTraffic and NavWeather. Like most crossovers in its class, the third-generation RX wasn't really designed for serious off-roading or towing. It could handle itself in snow or mud, with a diff-lock mode standard on all-wheel-drive models, and most RX models of this era were able to tow 3,500 pounds, which isn't much by class standards, but more than most cars can handle. It also was not meant to be a minivan substitute, as the RX has been a strictly a two-row affair; the third-row seats available or standard in similar and smaller competitors were not offered here. 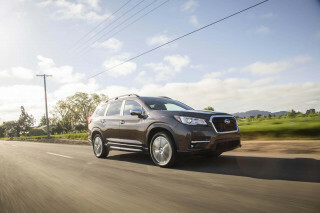 Safety and reliability have traditionally been strong reasons to choose the RX, as much as luxury and comfort. In this generation, the RX achieved top ratings from both crash-test agencies. Also, the RX has been a very reliable vehicle its entire run, and resale value is strong no matter what the year. The Lexus RX 350 and RX 450h were given an updated front-end appearance in 2013, with a new grille to bring the front-end design more in line with the GS sport sedans' look. 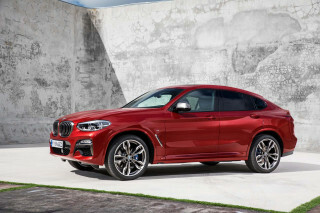 Other than a few other smaller changes, the RX continued unchanged, although the RX 450h was given a Sport mode and its own F-Sport model to offer better responsiveness. In the 2014 RX lineup, Lexus added Siri Eyes Free functionality for the infotainment system, allowing you to integrate some iPhone models with the RX's voice-command system. For 2015, Lexus followed that with refreshed audio systems across the model line. Lexus.RX is the best ! The best lexus ever. I reallly love it !! Exterior is very awesome. Interior the best. Very2 luxury suv car. Best RX ever! Elegant interior, choose sporty or smooth ride/handling, edgy styling, great fuel economy, excellent safety features, ordered car with all features/options and LOVE IT! F-Sport in Ultra White... Best RX ever! Elegant interior, choose sporty or smooth ride/handling, edgy styling, great fuel economy, excellent safety features, ordered car with all features/options and LOVE IT!